Curved and with a subtle embossing, the Anthracite Pro First 710 letterbox offers a fresh eye-catcher appearance to suit any homes style. The curved roof is beautifully presented and protects the mailbox from the rain. In order to make assembly easier, you will find the correct fixings included in your delivery. The Anthracite Pro First 710 letterbox stands out not only with its bright white colour but also becuase of it's curved body. 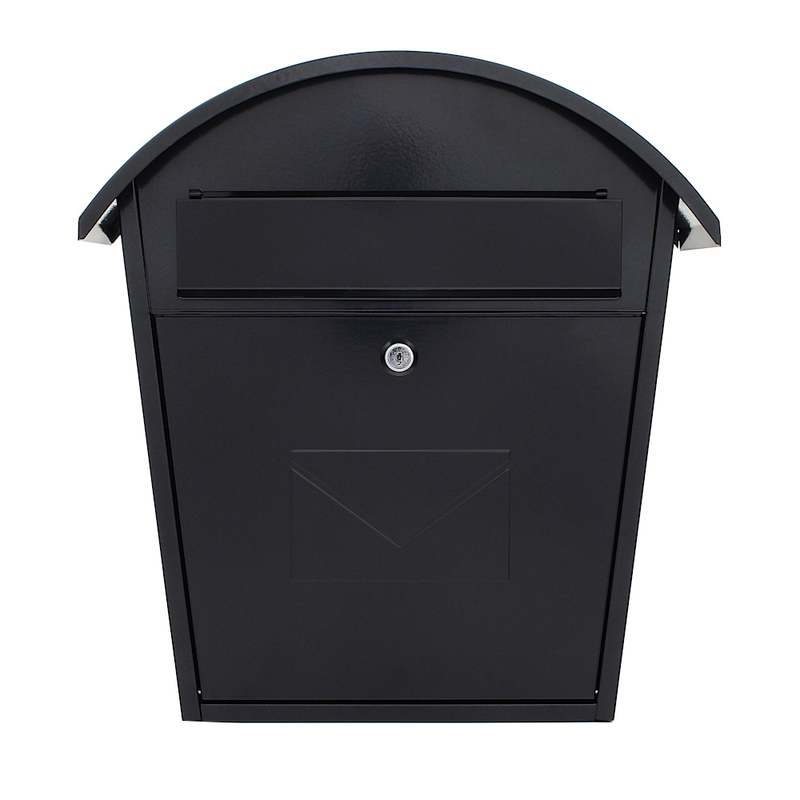 The circular roof has enough headroom to protect your mailbox from the rain. On the front there is a flap and a large door to remove your post.